Art panel may not be this exact one as we have two, but they are the same colors and the same theme. 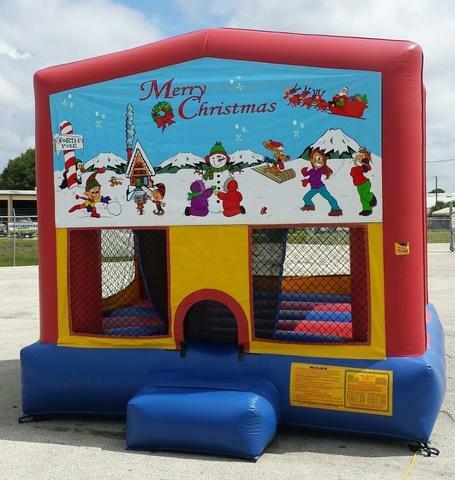 13 x 13 Merry Christmas themed bouncer will be the perfect addition to your holiday party or event. 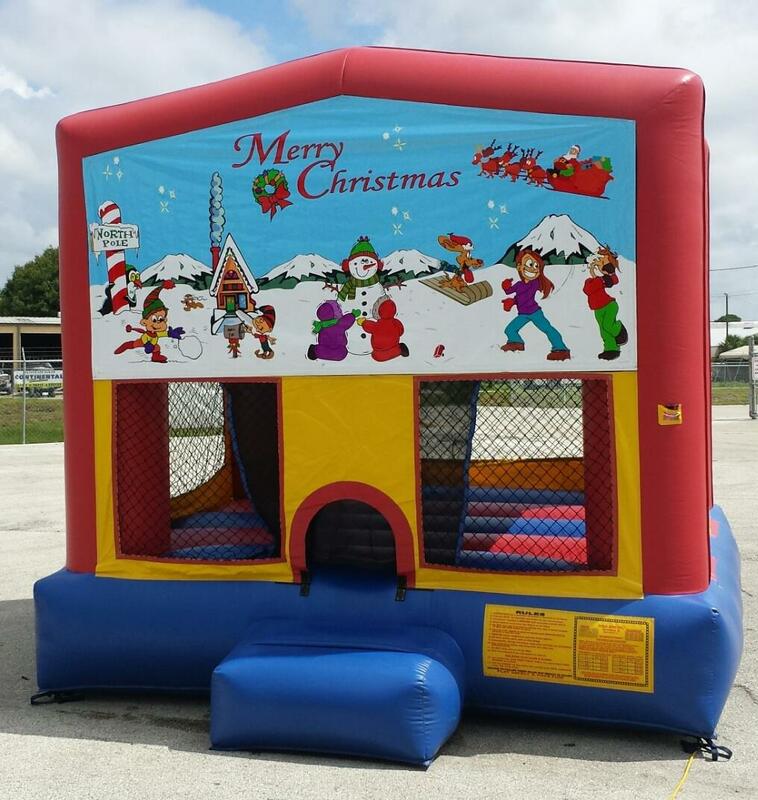 Bright and colorful inflatable with an equally colorful winter wonderland art panel over the bounce house entrance.